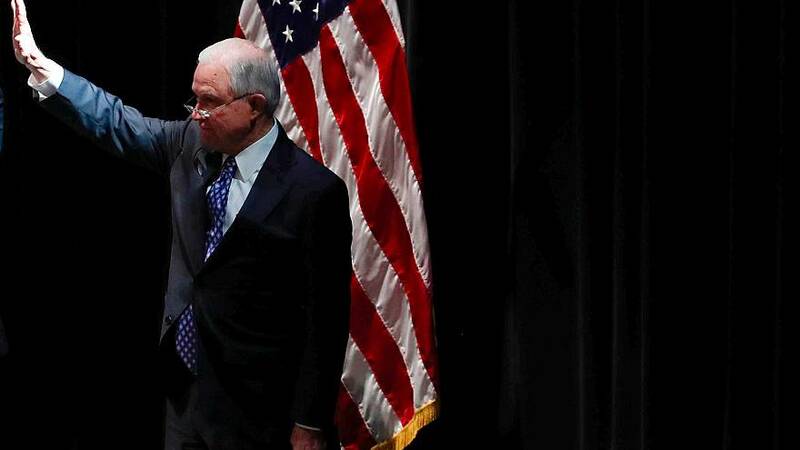 Jeff Sessions on Wednesday announced his resignation at "President Trump’s request" in a letter, less than 24 hours after polls closed for Tuesday's midterm elections. "....We thank Attorney General Jeff Sessions for his service, and wish him well! A permanent replacement will be nominated at a later date," he added. Whitaker will now oversee the ongoing investigation by special counsel Robert Mueller into Russian interference in the 2016 presidential election, and possible collusion by Trump's campaign in that meddling, according to the Justice Department. Sessions' letter was undated and in it he said he "worked to implement the law enforcement agenda" that Trump campaigned on. President Trump said a permanent replacement for Sessions will be nominated at a later date. Copies of the letter were widely circulated online. The incoming chair of the House judiciary committee, Democrat Jerry Nadler, sent out a tweet asking, "Americans must have answers immediately as to the reasoning behind @realDonaldTrump removing Jeff Sessions from @TheJusticeDept."